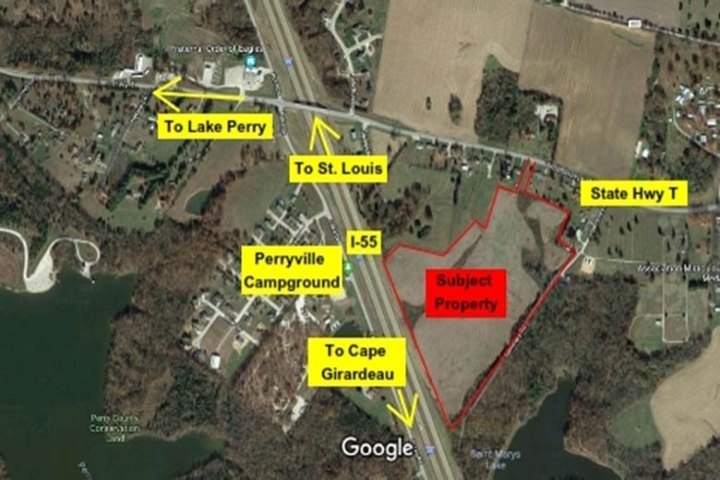 Located in the City of Perryville, MO is this 36.29 acre development property with great interstate visibility. Suitable for many types of projects. Access from State Highway T. Survey plat available on request. Suitable for Many Types of Projects!